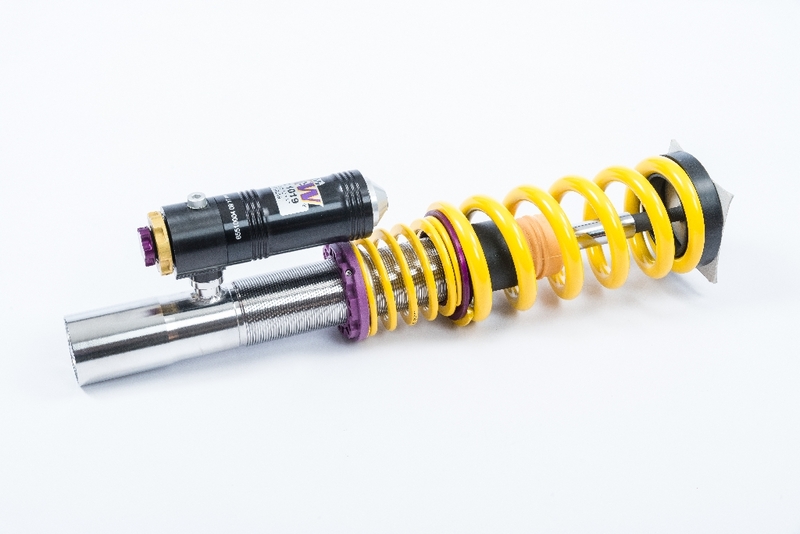 A while ago, we have presented on our Blog a 500 bhp strong VW Golf R with KW DDC plug&play coilovers. 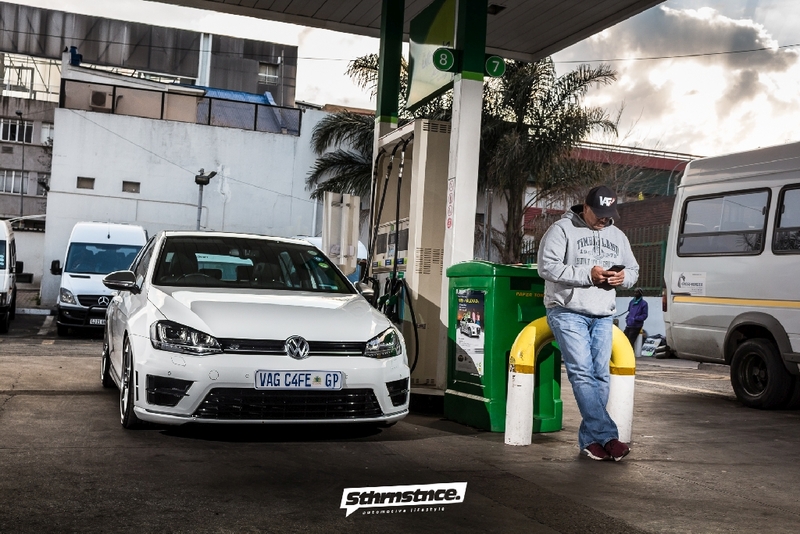 Home of this R was neither Europe, Asia or America, but the VW came from South Africa and is one of the many figureheads of the VAG Cafe. Between Pretoria, Cape Town and Johannesburg, a vibrant scene has developed in the recent years. 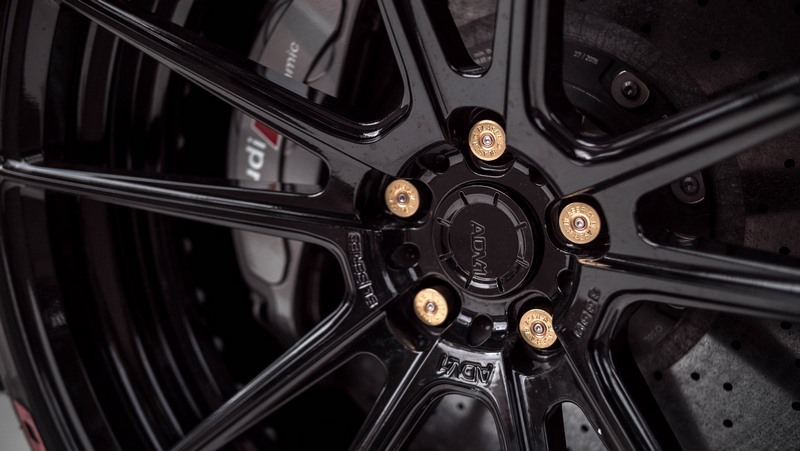 Besides to Japanese models, numerous automotive enthusiasts also rely on brands from Germany. For example, BMW and Volkswagen have manufacturing plants in South Africa for decades, where they produce their models for the African market. 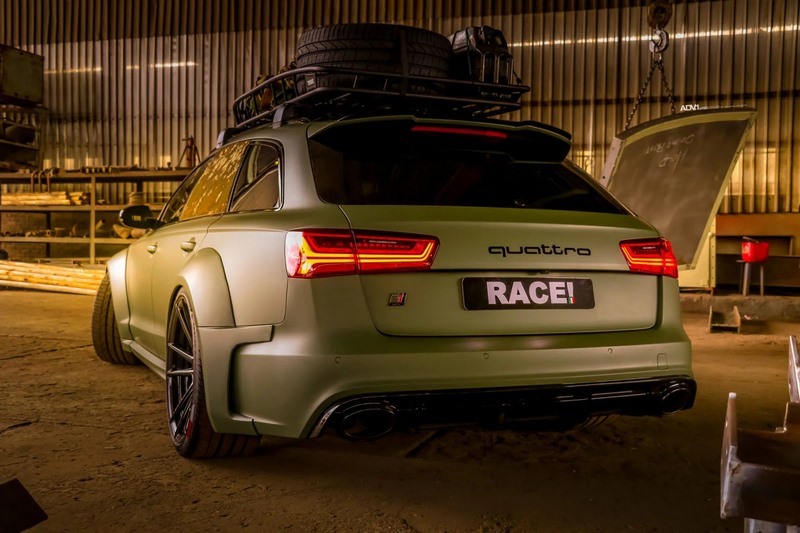 Also this eye-catching Audi Avant comes from Greater Pretoria and is the work of various South African refiners such as “Race!” and “Wulf Chip Tegnik“. Audi Avant? Certainly not. 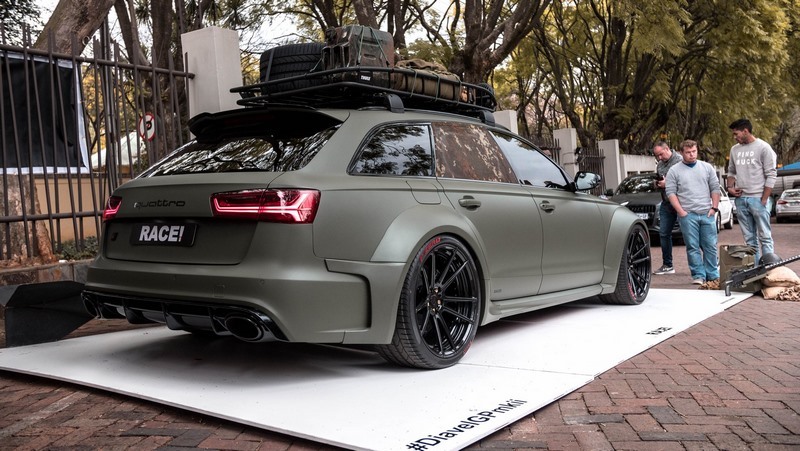 Actually, an Audi RS6 already has wide wheel arches from factory, but of course this was still too discreet for the South Africans. 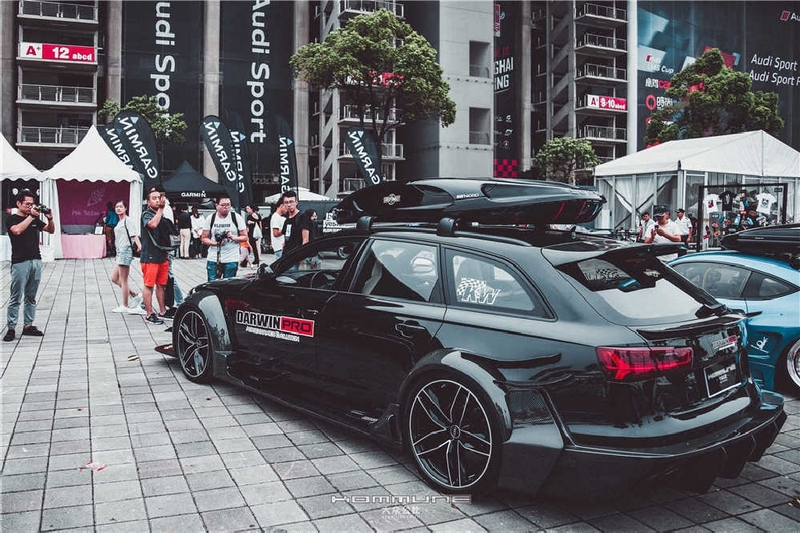 Behind the wide body hides an Audi RS6 C7 with a bearish 4.0-liter V8, which Wulf Chip Tegnik tuned up to 700 hp and thereby mobilized a maximum torque of 926 Nm. 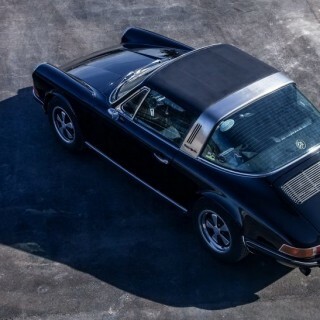 However, according to our sources in South Africa, this should only be the first level of performance. 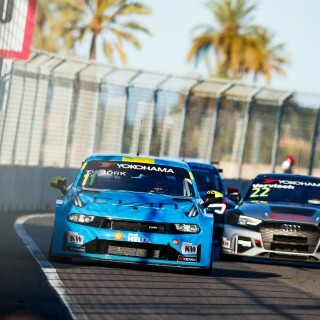 Just recently, Race! 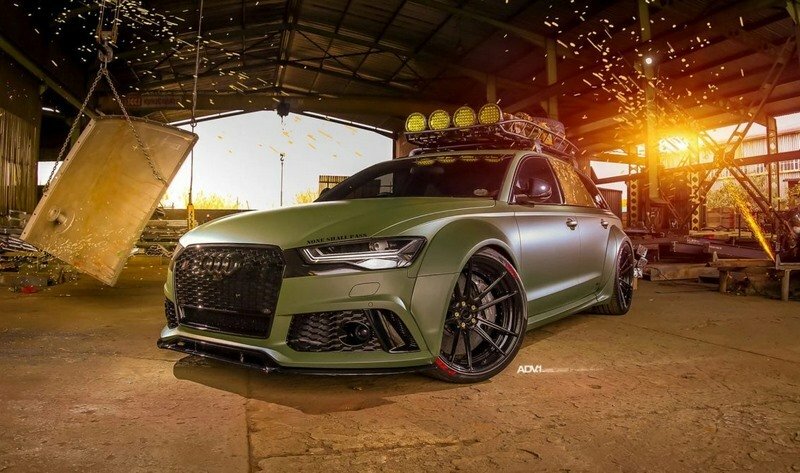 was in various South African blogs and magazines with a spectacular DarwinPRO Aerodynamics Evolution wide body – you can find the DarwinPRO also here – but this time the body should be a little more decent. But a wide body is actually never really discreet. 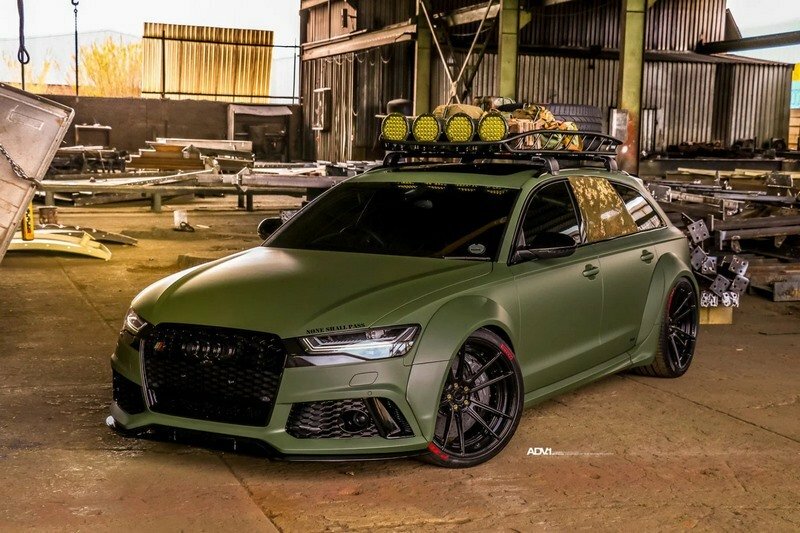 Especially if like this Audi RS6, you wear a matt olive green 3M film design. 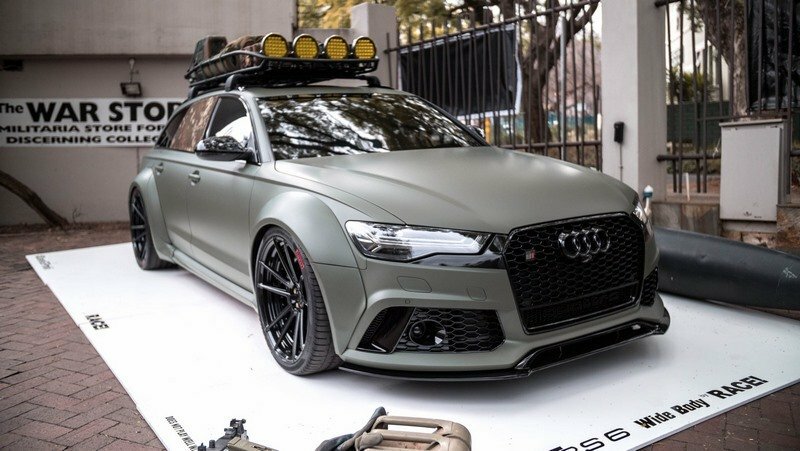 The full body foil was created by Cazz Mania Signz and according to the South African 3M importer, this RS6 was the first ever to be on the road in this military color. 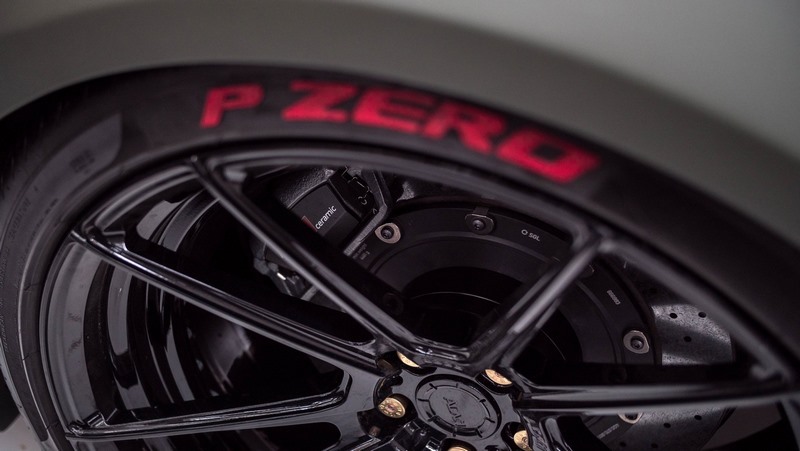 Very rare in South Africa are also the assembled 21-inch ADV1 rims in design ADV5.2 M.V1 with their 285/30-21 Pirelli PZero tires. 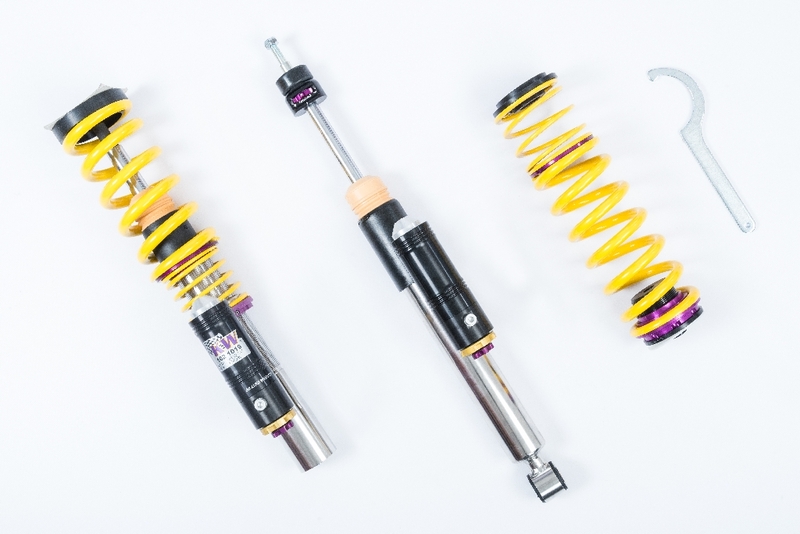 For the suspension kit, they chose our KW coilovers Variant 4. A coilover kit in an RS6, why? This is explained quickly. 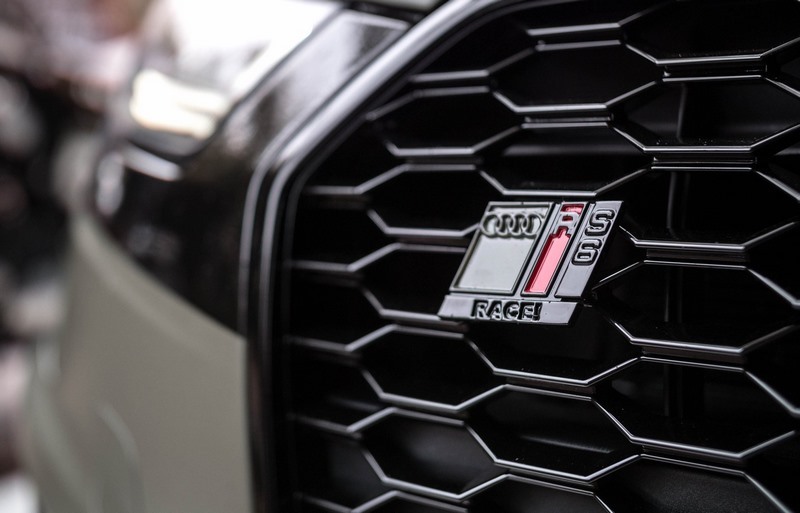 Every suspension is kind of a compromise, and even at a top-of-the-range model like the RS6, many demanding car enthusiasts are not satisfied with the car manufacturer’s dictated compromise. And this is one of the reasons why we have developed the KW Variant 4. 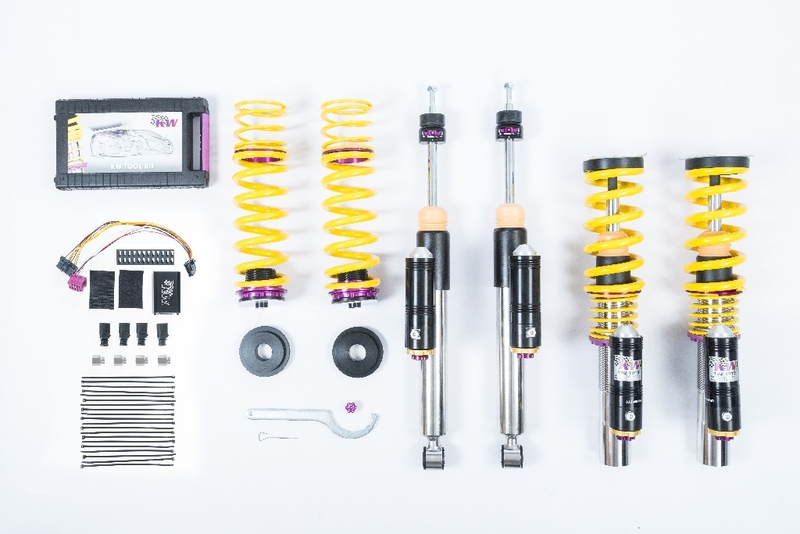 Our Variant 4 is a terrific suspension kit with three-way adjustable dampers, which allow on request a much more comfortable or more sporty driving behavior with their low speed and high speed compression damping as well as the further independently adjustable rebound stage. We are pretty sure that the Variant 4 is currently the best compromise between driving dynamics and driving comfort for top-class performance vehicles. 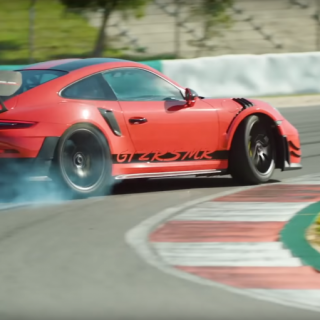 According to various tests, the suspension setup is terrifically successful and you can immediately feel how much detail work has been invested here. In comparison, the car steers even more precise. 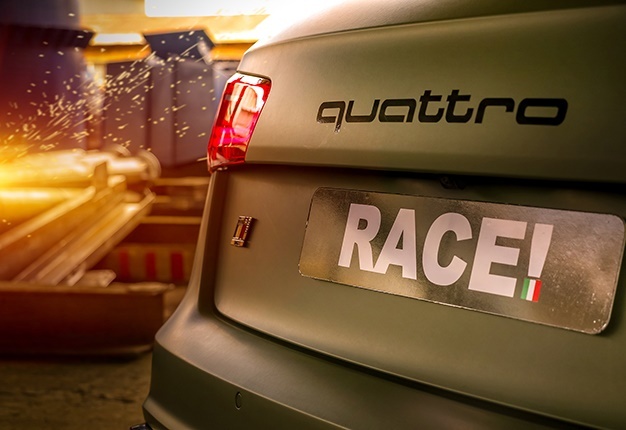 It responds to load changes barely noticeable and is absolutely good-natured, the German trade magazine sportauto for example judges a car with the KW V4 technology – we have probably not promised too much? Not really. 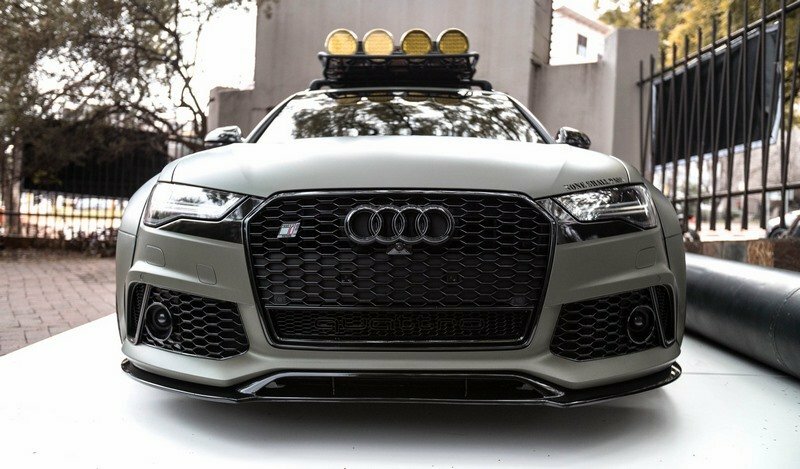 But besides the wide body, the brute performance increase including MillTek complete exhaust system and the beautiful rims, the RS6 has many, many small details such as the custom emblems or the Quattro logo instead of the four rings on the tailgate. 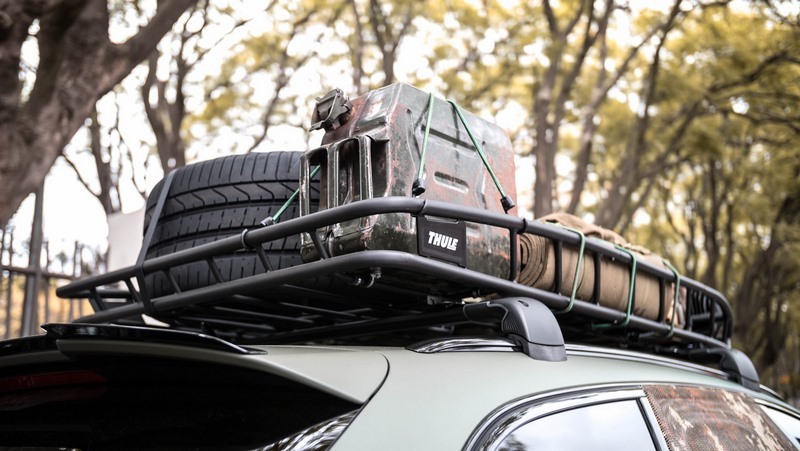 With various carbon elements, the aerodynamics was further refined and on the roof there is a Thule luggage rack installed, which of course had to be part of the “Army style”. A real show are also the four Primelux LED auxiliary lights. 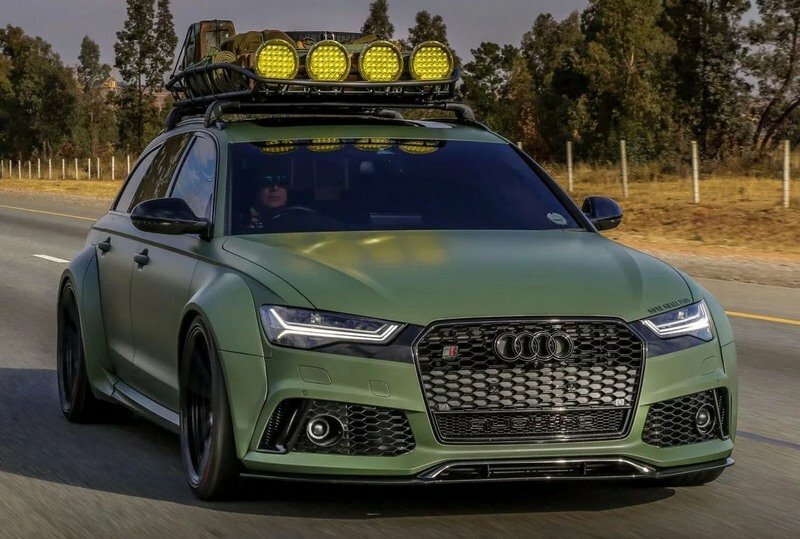 If the RS6 is currently driving up to a meeting in South Africa, it of course also has a camouflage net on the roof in addition to the slightly rusty petrol cans. 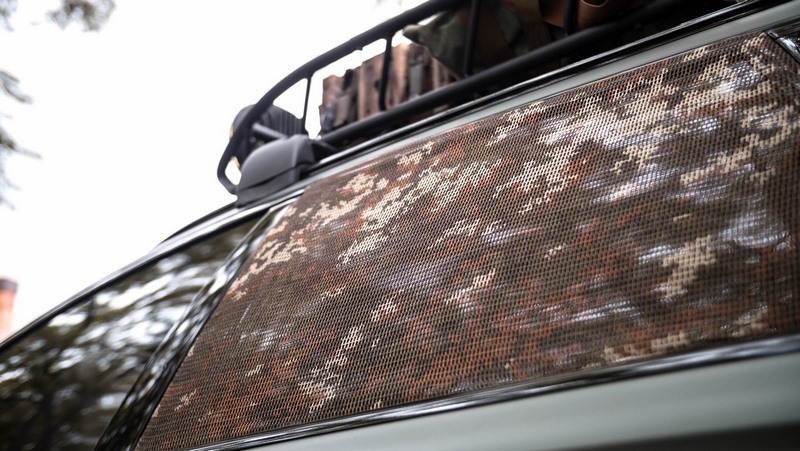 The various camouflage nets and old petrol cans were bought from “The War Store“. Can be done, does not have to be. 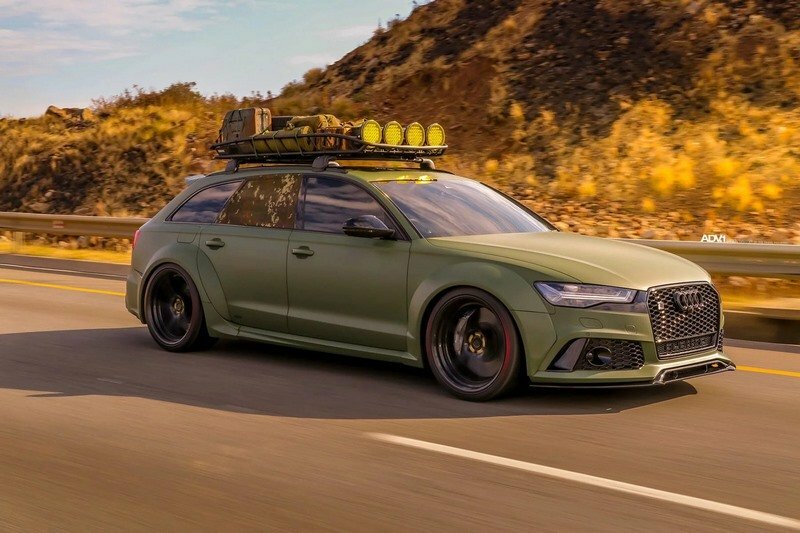 But somehow the Army style looks just awesome and fits perfect on the Audi RS6 or what do you think?